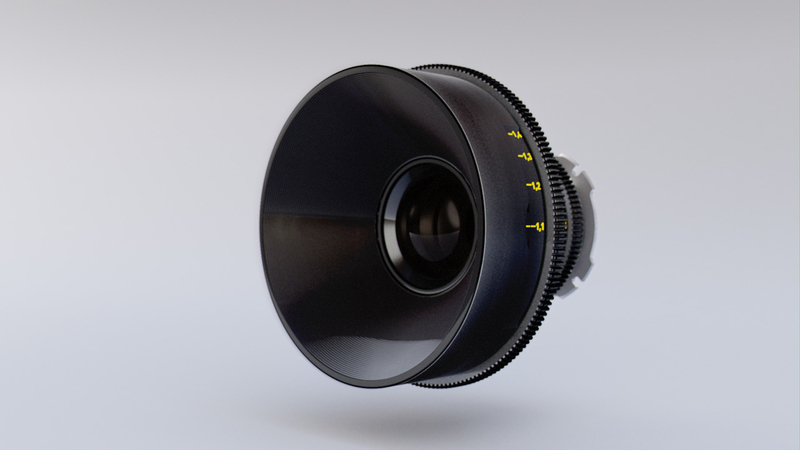 Whitepoint Optics — Custom-Made Medium Format Cinema Lenses! Whitepoint Optics is a company out of Finland using Hasselblad glass to produce some impressive-looking, custom-made cinema lenses. Most filmmakers are familiar with the fact that one of the most commonly-used filmmaking formats is Super 35mm — something very close to APS-C. However, that hasn’t stopped shooters from using full-frame glass, whose image circle is quite a lot larger than the Super 35mm frame. This has even led to the use of focal reducers such as the Metabones Speed Booster to use that glass to its full potential. 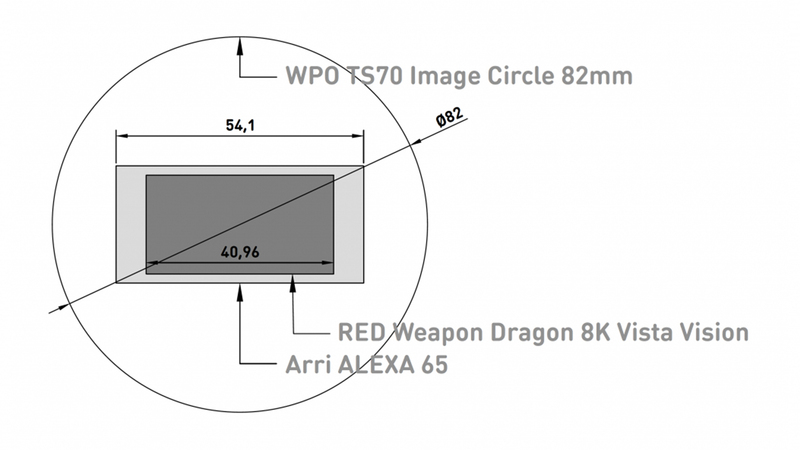 But now that cinema camera sensors are getting larger, what’s the next step? Whitepoint Optics out of Finland recently started producing the TS70 series of cine lenses that produce an enormous image circle. Just how large? RED Vista Vision? Think again. 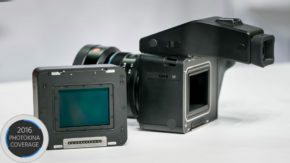 ARRI ALEXA 65? Think again. Maybe the chart below can serve to illustrate. The secret sauce behind the TS70 series’ 82mm image circle is the use of optics from Hasselblad, manufacturer of top-of-the-line medium-format photography cameras and lenses. 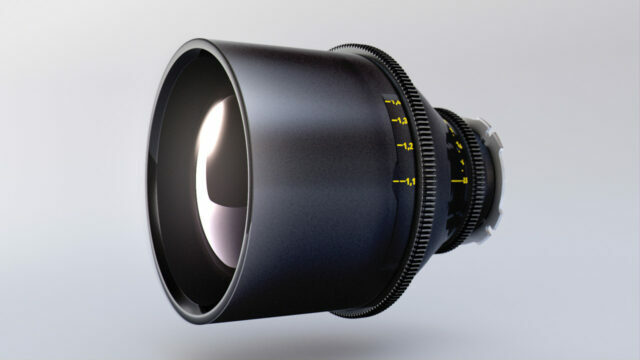 But the not just any glass – this Finnish company decided to use vintage Hasselblad optics for their line of cine lenses. According to Whitepoint, its the same optics used in the Apollo missions in the 60’s. Another aspect of their optical design is the implementation of a tilt-swing system to also achieve some unique perspectives. This mechanism offers up to 9mm of tilt around 360 degrees of movement. 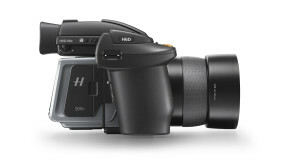 Additionally, the lenses offer a 10-bladed rounded aperture, which promises to provide milky smooth bokeh. The TS70 series will consist of nine lenses in total, and all share an aircraft aluminium-grade steel build and a 114mm front diameter. Of the whole line, currently only the 30mm, 40mm, 60mm, 80mm, 100mm and 120mm are available, with the 150mm, 250mm and 500mm becoming available in the coming months. They will be available in EF, PL and E mount. The lenses come in a variety of T-stops from T2.8 to T5.6, but bear in mind that in medium-format world those apertures are faster than what they sound like. 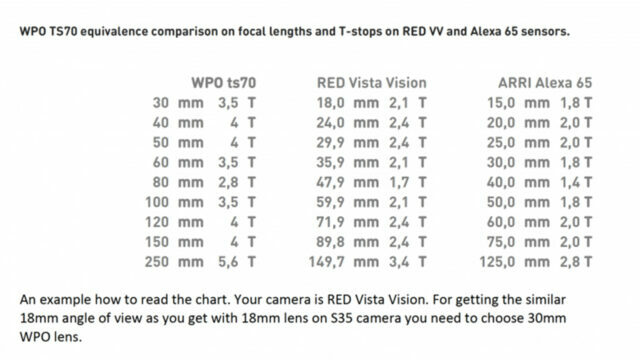 The focal lengths listed above also don’t take crop factor into account. Check out the comparison chart below to see what their equivalent is in cinema formats. 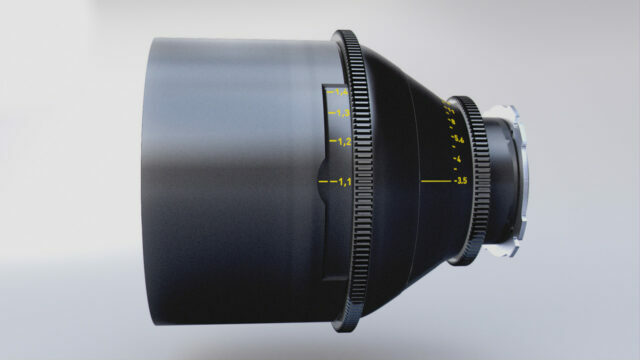 Although these lenses may sound a little bit niche, they are already being used on a couple of Netflix feature film productions: Heretics (Come Sunday) directed by Joshua Mashtom, and How It Ends directed by David M Rosenthal. The TS70 Series from Whitepoint Optics are predominantly available for rental around the $200/€250 mark a day per lens. However, you will also find sets for sale at IBC for an as-of-yet undisclosed price “slightly below the Leica Thalia”. For more information, sample footage and pricing requests, drop a line via e-mail to “info at whitepointoptics.com” or head over to their website. With higher resolutions and larger camera sensors becoming more popular, I guess it was just a matter of time before lenses started to follow suit. Now, here’s a question… Medium-format Speed Booster, anyone? Will you be checking out the TS70 Series at IBC 2017 in a few weeks? Let us know your thoughts in the comments below! I understand crop factor but I DO NOT understand the chart above. How the hell can a 30mm medium format lens be a 18mm field of view on a Red Vista Vision sized sensor. If the sensor is larger than medium format and the lens is medium format then it’ll vignette. And here is my experience. I own medium format lenses. When I put them on my s35 camera with a speedbooster the 35mm is a 35mm, it is only brighter because of the speedbooster. Does anyone get a 1.5x stop increase when using full frame glass straight adapted to s35 sensor? This article and that chart are really confusing. “slightly below the Leica Thalia” is scary, since the Leica Thalia lenses are some of the most expensive lenses in the world.